Used for the evaluation of film quality in bag applications. Vertical Blown Film Die Assembly is supplied with a 1” orifice for use with the 3/4” single screw extruder and twin screw extruder. 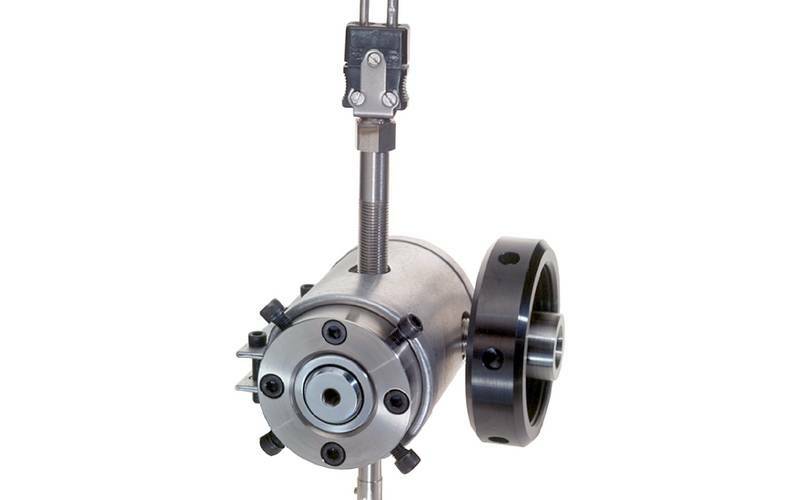 Also available is a 2” orifice for use with the 1-1/4” single screw extruder. The die assembly is equipped with a band heater, ring nut, and standard adapter. Shortened adapter available for use with breaker plate assembly. Cooling ring and take-off equipment are optional. All C.W. Brabender® die assemblies are interchangeable and can easily attach to any C.W. Brabender® extruder. They are equipped with threaded borings for stock temperature thermocouples and/or pressure transducers and can be effortlessly disassembled for thorough cleaning. Construction is of 416 Stainless Steel.